You know you want to, dance in the rain that is. 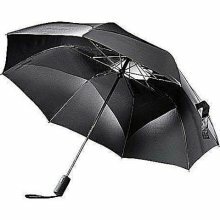 Investing in a real umbrella that can handle Portland’s erratic weather, including windy rain sheets, is essential in my book. By golly let’s save our gorgeous coats from some rain. I think I’ve found the perfect marriage of durable and light with this one pictured by ShedRain. I love my printed J.Crew pop-outs, but they’re all broken and too heavy to cart daily for the “just in case” thundershowers. Get it from me at Nordstrom. This entry was posted in Uncategorized and tagged nature, shopping, weather on January 5, 2012 by pualana.